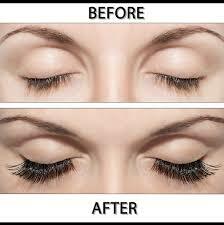 Eyelashes also change with age and become thinner, shorter, less numerous and also paler and less pigmented. Some individuals complain of thin, pale, short or otherwise poorly visible eyelashes. Long, dark, thick eyelashes are considered a sign of beauty and are thought to enhance the overall appearance of the eyes in most cultures. Thanks to the development of many modern eyelash products, women now have options to enhance the appearance of lashes. Eyelash extensions are a revolutionary new product that lengthens and thickens eyelashes, single strands of synthetic eyelashes that are curved to replicate a natural eyelash. They are applied to individual eyelashes, one lash at a time and vary in length and thickness depending on your desired style. They can be applied to look natural or dramatic. Eyelash Extensions are perfect for special occasions as well as for every day wear. 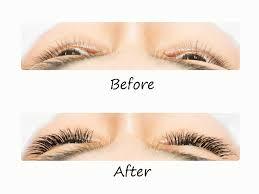 Eyelash extensions can be temporary, or there are surgical methods. Temporary methods involve either the use of at-home kits or a visit to an aesthetician trained in eyelash extensions. At-home kits tend to involve bunches or strips of lashes applied at once and tend not to be as long-lasting. Those done in a salon usually involve individual application of lashes. It is important to have eyelash extensions done by a well-trained individual, as strong glue is used which can damage skin or eyes if not used correctly. Eyelash transplant surgery involves harvesting suitable hair from another location on the body and carefully implanting it along the lash line. This requires several hours and is done with local anesthetic by hair transplant surgeons. Side effects can include bruising and swelling in the lid area. As is the case with any surgery, infection or scarring is possible but very unlikely. It is an option for those individuals with permanent forms of alopecia in which the hair follicles no longer can grow hair, and for people with burns or scars that have permanently damaged hair follicles. Eyelash Extensions are a beautiful way to extend the length and the thickness of natural lashes, and are a practical, classy and convenient alternative to the daily routine of putting on mascara. Individual, synthetic, pre-curled lash extensions bonded with platinum bond adhesive are difficult to detect even close up. 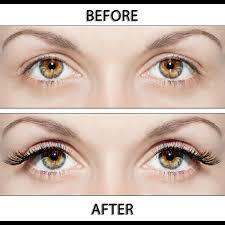 With regular refills, lash extensions can last indefinitely. Can lash extensions harm my own natural lashes? Properly applied lash extensions will not harm natural lashes. Our lash technician’s application technique allows natural lashes to grow and thrive with extensions. This technique requires several “separation” steps during the application process so that each lash extension is adhered to a single natural lash to prevent interruption of the lash growth cycle. How often do I need to get a refill? To maintain an alluring full and thick lash line, a refill is recommended every 2 to 3 weeks based on your own natural growth cycle. What if I choose NOT to get a refill, can I take the extensions off myself? NO. Please don’t forget, lash extensions are attached using an adhesive. You will damage your natural lashes if you attempt to remove these yourself. 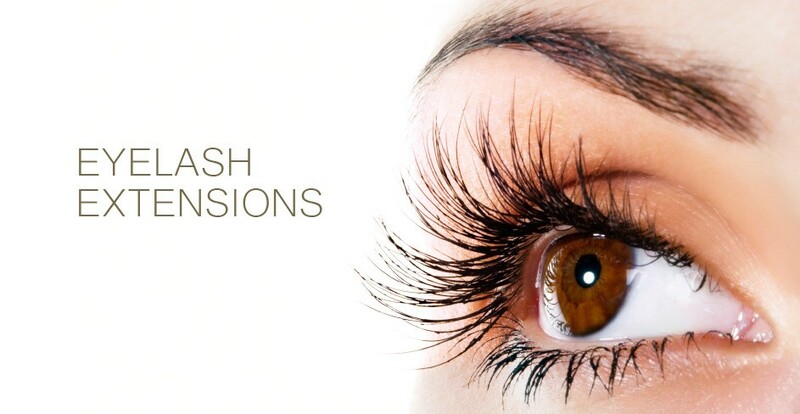 Only a certified Lash specialist or technician can remove your extensions for you, since it will require the use of an adhesive remover gel and careful separation. Mascara is generally not needed with eyelash extensions. Glycol-free mascara should only be used when you are getting close to a refill, usually in 2 to 3 weeks. Waterproof mascara is not recommended because it will dissolve the bond with the lashes. Taking care of your lash extensions is pretty easy. Keep dry for the first 24 hours, keep lashes brushed so they don’t get tangled, take off make up at an angle, never side to side or up and down. Don’t use waterproof make up. I am a contact lens wearer. Can I still get eyelash extensions? Yes! Eyelash extensions do not interfere with your contacts or even normal daily activities. Can I swim or go to the gym with my lash extensions? Yes! Dermedix Clinic lash extensions are water-proof, sweat-proof and oil-proof. You can shower as usual, go to the gym and lounge in the sauna or go swimming. You can expect the initial full set of eyelash extensions to be scheduled up to 2 hours. Refills at 2 to 3 weeks are scheduled for 1 hour and extended refills for 1 1/2 hours (extra charge will apply). Refills after 4 weeks are considered a full set. Who CAN'T wear lash extensions? Anyone with adhesive allergies. Anyone who just had Lasik must wait at least 4 weeks and seek their doctor’s approval prior to getting extensions. Anyone who just had an eyelift (Blephoroplasty) must wait 4 to 6 months after the operation and also gain their doctor’s approval. Anyone who had Chemotherapy in the last 6 months. Anyone who has a medical condition related to their eyes, sight or eye area should really consult their doctor first.